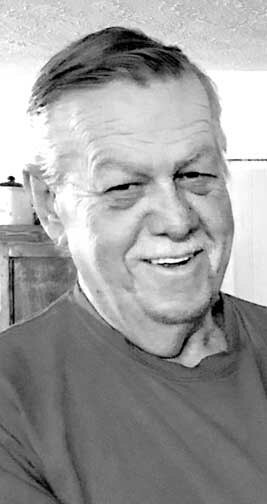 LISBON –Robert Olmstead, 71, of Lisbon died on Feb. 10, 2019. He was born in East Liverpool on Nov. 12, 1947 a son of the late Paul Olmstead and Margaret (Shukert) Gillium. Having lived most of all his life in the area, Robert attended East Liverpool High School and worked as a sandblaster for various companies having retired in 1998. Robert was a member of the Calcutta Lions Club, was a past member of the Beaver Local Band Boosters, Former Scoutmaster of Troop 36 of Calcutta, volunteered for Campfire Girls, and had been a DJ at KB Roller Arena. Robert is survived by his wife Susan (Forester) Olmstead whom he married on Jan. 9, 1982; three sons: Gary Groubert and his wife Vanessa of Lisbon OH, Andy Olmstead and his wife Jessica of Salem OH, and Samuel Olmstead and his wife April of Salem OH; two daughters: Elisabeth Gritzinger and her husband Eric of Stow, and Connie Slagle and her husband Dave of Streetsboro OH; a sister: Catherine Roberts of Sacramento CA and seven grandchildren: Jagr Groubert, McGwire Groubert, Brennan Olmstead, Gavin Olmstead, Bailey Gritzinger, Dashiell Olmstead and Lily Olmstead. Services will be held at the Martin MacLean Altmeyer Funeral Home Calcutta Chapel on Wednesday Feb. 13, 2019 at 3 p.m. with Pastor John Goebbel officiating. The family will be present to receive friends on Wednesday from 1 p.m. up until the time of service at 3 p.m. In lieu of flower family requests donations be made to the West Ridge Community Church 100 Gorwood Drive Coraopolis, PA 15108 which can be made online at tmcfunding.com. Family and friends may view this obituary and leave online condolences at www.martinmacleanaltmeyer.com or by visiting the funeral homes facebook page.